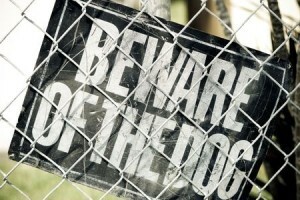 Florida's New Dog Bite Law - BJE Law, P.A. As of January 27, 2016, the laws guiding dog bite cases in Florida have changed. The bill, known informally as “Padi’s Bill”, provides hearing officers with more flexibility in determining the outcome for dogs who cause severe injuries to humans. Back in June 2015, a dog named Padi bit a 4-year-old boy and took off some of his ear in the process. Though the boy’s family said the dog attacked him, Padi’s owners explained that the boy had cornered Padi and thrown toys at him, which unintentionally provoked Padi to bite the boy. Florida law at the time instructed that Padi be euthanized, but Padi’s owner Dr. Gartenberg fought the law. In an unusual turn of events, Judge Andrew Owens agreed with Dr. Gartenberg that the law did not provide enough leeway in unique situations like Padi’s. Florida Statute 767.13(2) was deemed unconstitutional, and Florida Representative Greg Steube soon stepped in to suggest Padi’s Bill. In a unanimous vote 118-0, Padi’s Bill passed to allow judges their own flexibility and leeway when determining the fate of animals charged with severe bites. If the dog was acting in self-defense, in defense of its owner, or against a trespasser, immediate euthanasia is no longer the only option. According to Padi’s owner, the passage of Padi’s Bill is a service to all animals who may make a mistake but don’t deserve to lose their life for it. Of course, the bill also saved Padi from a death sentence and allowed him to return to his family. This is a major step in Florida dog laws, as it overturns legislation that has existed for 25 years. The unanimous vote demonstrates Florida’s desire to help dogs and treat them with fairness in all situations. It’s important for dog owners to take this new ruling into consideration, as dog injuries fall under the personal injury category and can be pursued in court.